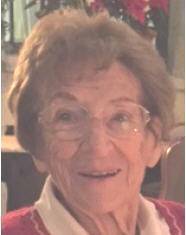 Biography - Farrington, Betty E.
Betty Wilson Farrington passed away on February 10, 2016. She was preceded in death by her parents Vera Bentley Wilson and Albert Daniel Wilson, husbands John (Bus) Alton Farrington and William G. Farrington, brother Sidney Wilson and great granddaughter Jessica Marie Leyba. Surviving her is her son John Arthur Farrington (Pat), daughter Peg Hulsey (Dennis), grandchildren Carrie Farrington, Jeff Farrington (Cassandra) and great grandchildren Megan and Zachary Farrington; granddaughters Deb Smith (Kevin) and Diane Trujillo (Paul), great grandchildren Chloe Smith, Danielle Trujillo, Joey Leyba and Mitch Trujillo; great great grandchildren Izabella , Kyah, Bree, Brinley, Nick and Zayne Leyba, and numerous nieces and nephews. Betty was born in 1918 in Lead, South Dakota. After living in Lead, Denver, Florida and West Portal and Colorado, her family moved to Buena Vista in 1932. She graduated from Buena Vista High School in 1936. 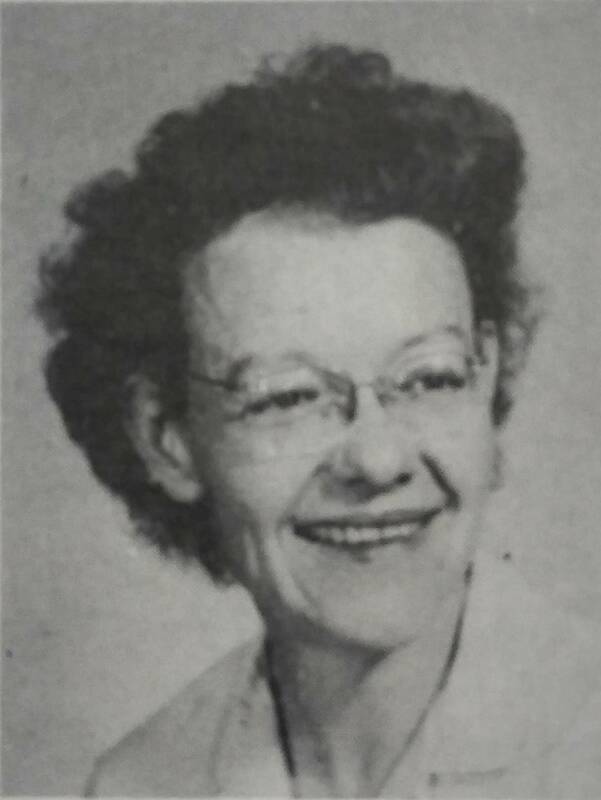 She was a scholarship student at the University of Colorado, Boulder, graduating in 1941. Shortly thereafter, she married her high school sweetheart Bus. Sadly he was shot down and lost at sea in the Pacific in October, 1943. Two months later she gave birth to their son Johnny, and she and Johnny moved to Colorado Springs to live with Bus's mother and sisters. After the war, she married William G. Farrington, Bus's brother. Bill was the cowboy of the Farrington family and they soon moved to the Hayden Ranch near Leadville where Betty happily lived the life of a rancher's wife. In 1947 shegave birth to their daughter Peggy. In 1954 Bill accepted a job as a Colorado State Brand Inspector at the Denver Stock Yards, and the family of four moved to Englewood, Colorado. There, Betty started teaching with the Sheridan School District. Her college major had been English, but they needed a PE teacher and she rose to the occasion. She developed the physical education programs for the Sheridan Schools from the ground up. The picture on the left is from the Fort Logan School annual in 1961. There she was very active in Sheridan Education Association, Delta Kappa Gamma, Republican Women, American Legion, and the VFW Ladies Auxiliary. After Bill and Betty retired in 1976, they finally got to move back to their beloved Buena Vista. There, on Neighbors Lane, they were able to enjoy their dream "ranchette" complete with horses, chickens, rabbits, goats and Sparky the burro. Those were happy days for Betty and Bill. Tragically in 1987, Bill and son-in-law Bob Baker were involved in a traffic accident on Trout Creek Pass, and Betty spent the years 1987-89 carrying for Bill in Colorado Springs and Salida nursing homes. In 1989 Betty made a final move in Buena Vista, where she led an active and independent life. Betty loved the written word, and could recite many quotes from high school Latin to her "special" Limericks. She was an avid reader, but especially enjoyed nonfiction books about Colorado history, as well as her many newspapers, ghost towns, travel, and Mayflower history. She loved picnics, camping, fishing and hiking, traveling with family and friends, and playing games-including all card games, word games, and crosswords. In her later years, she thoroughly enjoyed sitting at her window watching the golfers, deer and ducks go by. When asked of the role Betty played in their lives, her family mentioned the love of all the above activities. Also, she fostered an appreciation of plays ranging from the King and I to the Lion King, Bronco games, family activities, love of the written word, a good joke, stories of times gone by, and most importantly a well rounded education. Betty was, and always will be, a wonderful role model for her family!